When developing a website, we’ll usually spend plenty of time and resources on creating an attractive interface, sophisticated functionality and is branded correctly. Unfortunately, not as much attention is given to improving the website’s speed. Yet, slow speed can render every other edge your website has irrelevant. 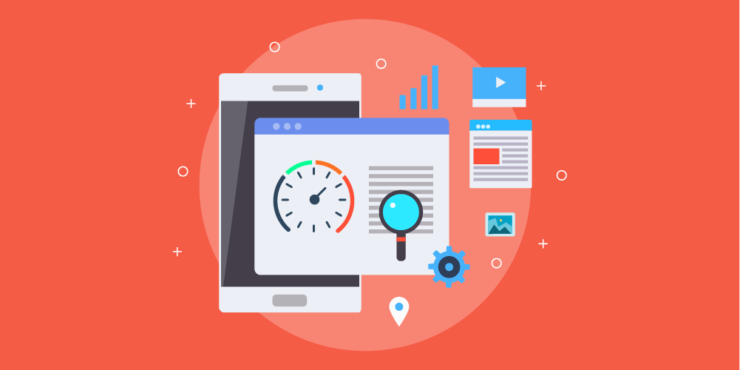 The following are the main reasons why your site’s speed is an important ingredient for success. Even before visitors get to read the actual content on your website, it’s load time will be the first thing they experience. First impressions are crucial. Visitors will instantly judge your website and business based on how fast your site loads. That could make the difference between whether they’ll proceed to explore it or will abandon it and never come back. It all comes down to human psychology. We perceive fast things as efficient, excellent, reliable, trustworthy and time-saving. On the other hand, a slow website feels insecure, mediocre, outdated and unsafe. Chances are that you’ll only have one shot at making a good impression so make it count. Your website doesn’t exist in a vacuum. Users who visit your site are likely coming from another website and will proceed to another address on the web once they leave yours. Many website owners now understand the value of speed. Solutions by Pingdom and other site monitoring tools are now widely used to keep tabs on performance. So if you are the odd one out, visitors will be struck by the stark deterioration in load time when they land on yours. Think about your own use of the internet—whenever you are searching for something, you want quick answers that enable you to make decisions fast. Consumers expect your page to load in 2 seconds or less. 2 in 5 visitors will abandon your site if it takes more than 3 seconds to open. Only authority and well-known sites like Amazon and Facebook have the luxury of load time delays. Your website won’t have much meaning if no one visits it. The very reason for setting it up is to attract and grow a steady stream of visitors. The user experience is therefore crucial. User-focused website design is all about creating a simple yet memorable environment for visitors. There are two core pillars of a positive user experience—giving visitors what they came for and giving it to them quickly. The second pillar is dependent on your site’s load time. Hardly anyone strays to your website. Nearly all are drawn in by a need or curiosity. You want to satisfy this need or curiosity quickly if you don’t want them leaving frustrated and confused. We talked about how fast visitors will abandon your site if it takes more than a few seconds to load. Now, let’s apply a hypothetical figure to this abandonment rate. Say your website receives 500,000 unique visitors in a month. If your site takes longer than 4 seconds to open, about 200,000 potential customers will abandon it. Even if just 1-2% of these could eventually have gone on to make a purchase, we are talking 2,000-4,000 transactions lost. That’s a huge number by any measure and can make the difference between maintaining profitability or falling into the red. Ergo, slow speed equals slow sales. Amazon found they’d lose $1.6 billion annually if their site’s speed slowed by one second. The Google search engine is the most important site on the web. The overwhelming majority of websites will receive most of their visitor traffic from Google Search. The higher up your website appears in search results, the more visitor traffic you are likely to receive. Starting in 2010, Google started to include a website’s speed in its search results ranking algorithm. In addition, Google reduces the number of crawler bots it sends to your site if your website’s server takes more than two seconds to respond. That means your latest blog post, updated product descriptions or a site reorganization will take longer to be picked up by Google search. And that’s a bad thing. Your website’s speed matters. It’s very survival and sustainability depends on it.